Under pressure Manchester United boss Louis van Gaal blasted a “fat man” journalist for criticising Wayne Rooney’s recent performances. The Dutchman lost his cool in a press conference after watching his team draw 3-3 at Newcastle. 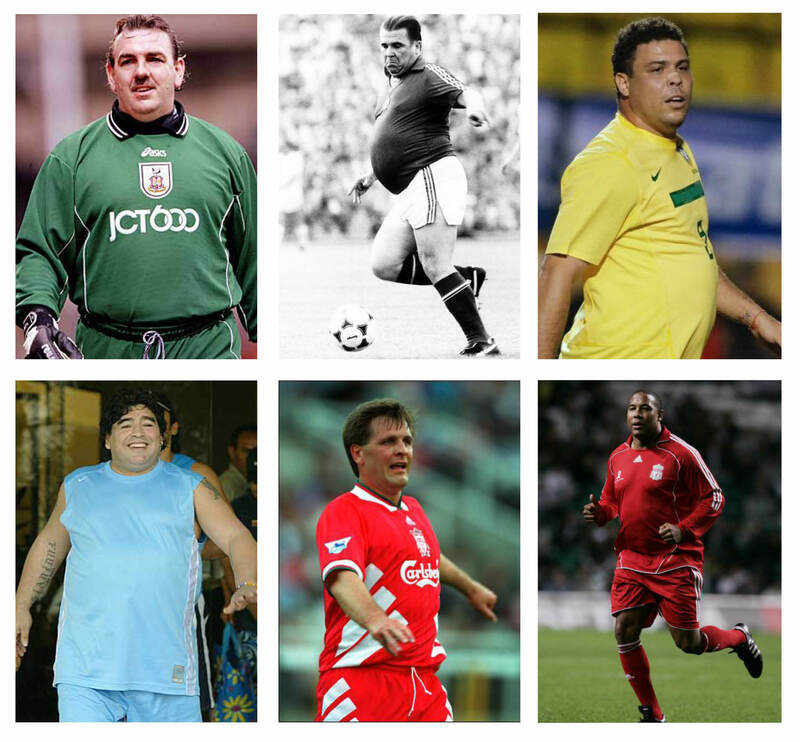 We’re pretty sure a few Soccer Sixes players are carrying a few extra pounds after the Christmas break. Fighting the flab is one good reason for turning out each week. Last year Red legend Lou Macari accused Rooney himself of getting too fat. But being a proper porker doesn’t mean you can’t shine on the pitch. With that in mind, here is a six-strong group of players that any team would be happy to field each week. This team of legends may have eaten all the pies, but pound-for-pound we reckon they’re the best around. If you think any of your teammates would fit in with our super-sized six, send your pictures to info@soccersixes.net.